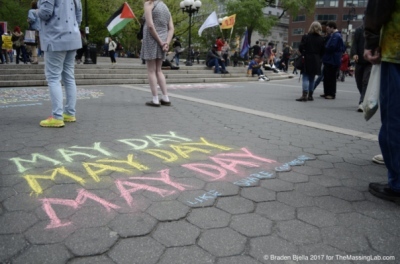 International Workers' Day, which falls annually on May Day, is an internationally recognized holiday supporting the rights of working people. 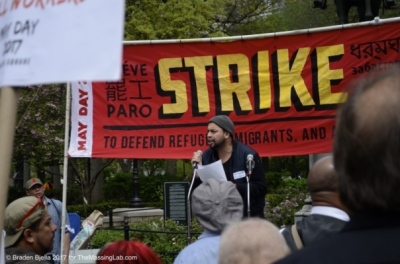 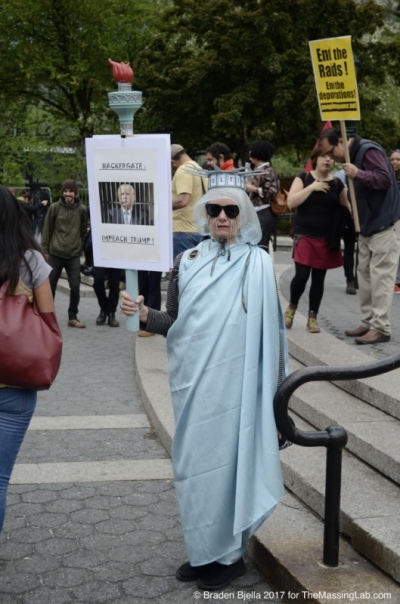 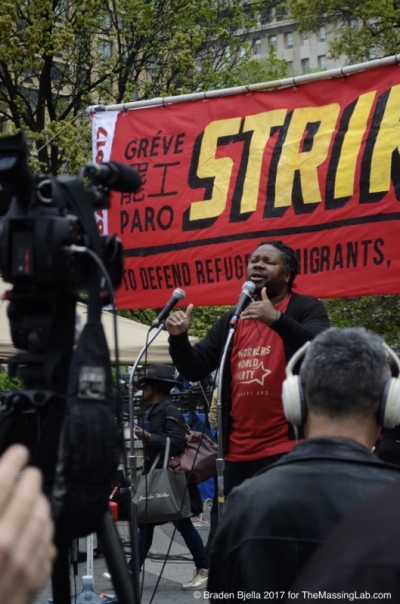 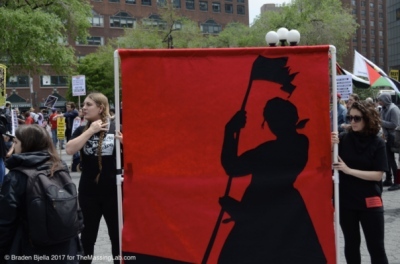 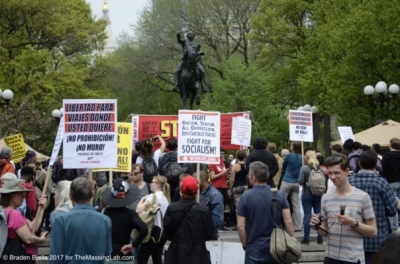 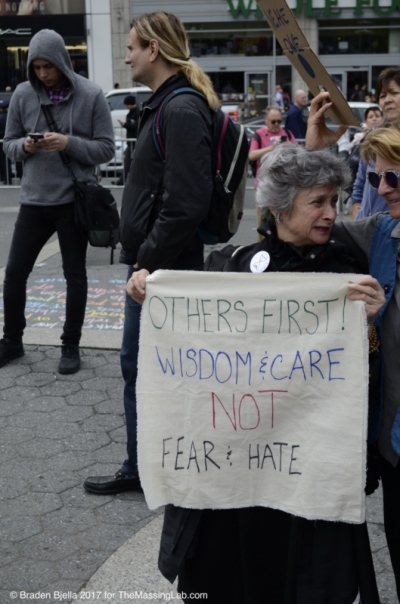 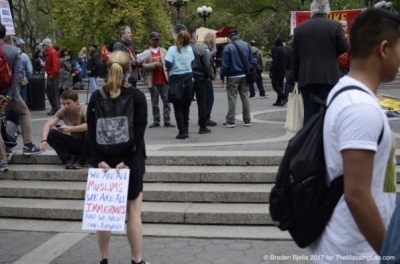 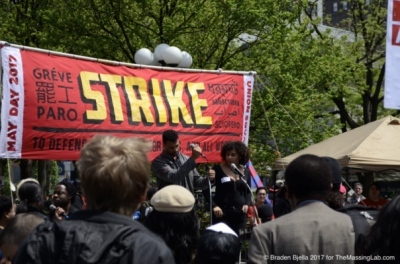 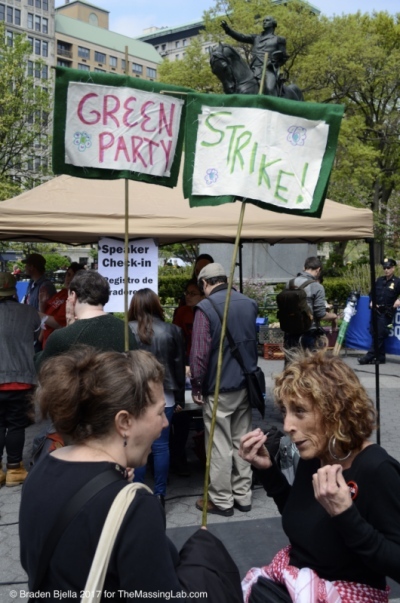 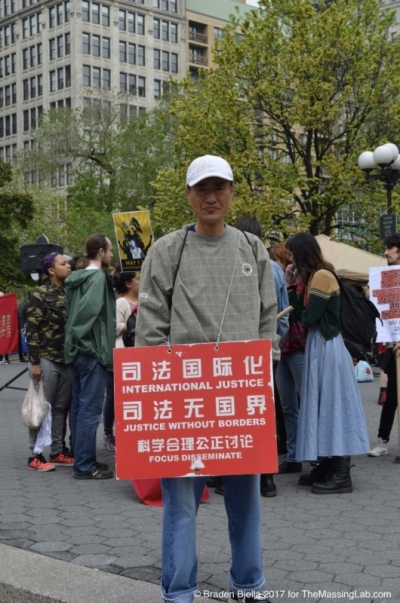 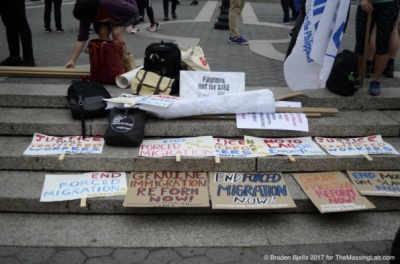 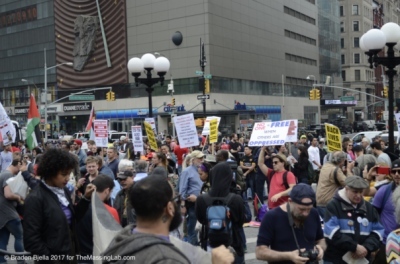 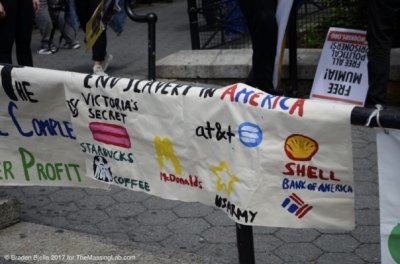 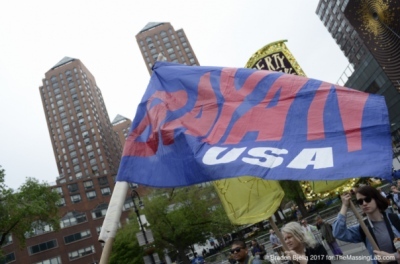 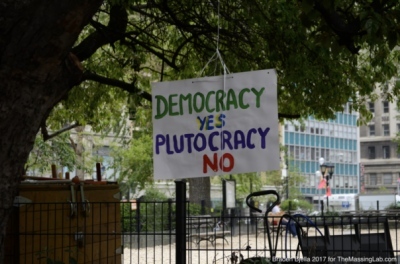 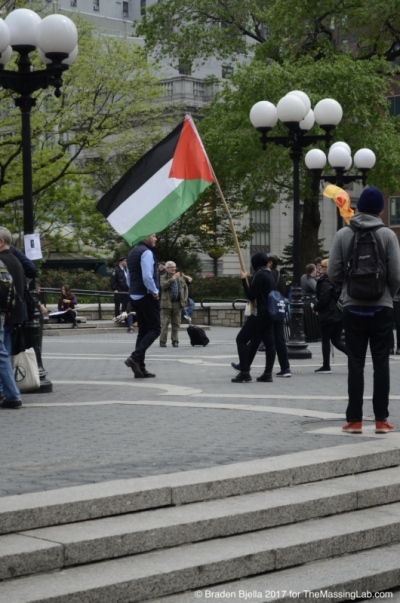 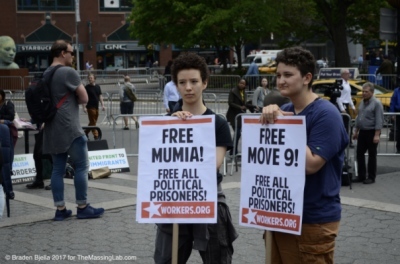 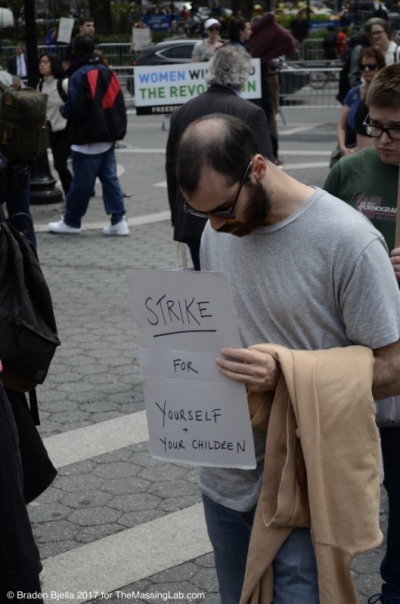 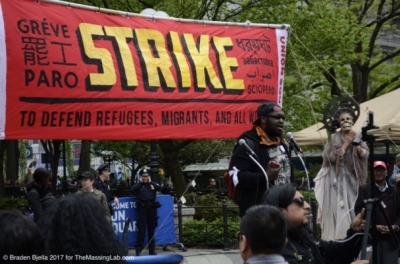 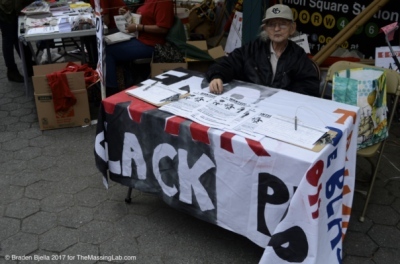 In New York City, political and activist groups gathered in Union Square to both stand in solidarity with each other and to share progressive ideas about the country’s future. 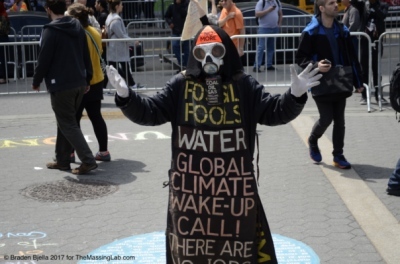 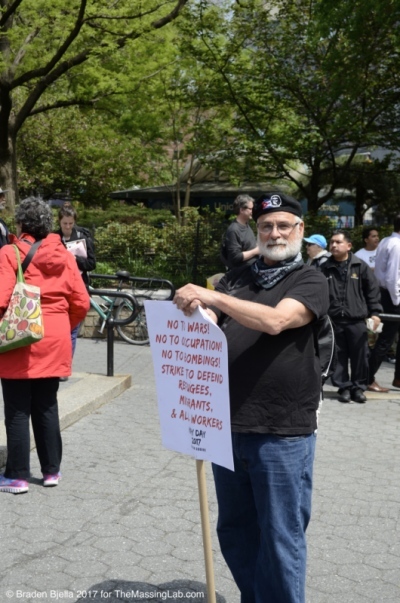 Many came bearing signs; others signaled only with their voices. 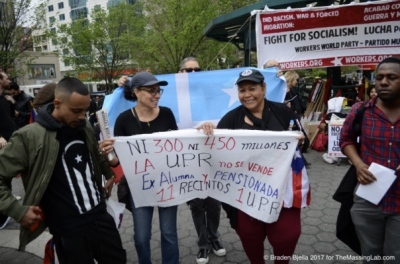 Despite differences in their motivation for attendance, the community was brought together by their feelings of mutual crisis, unifying their message and propelling them into the future. 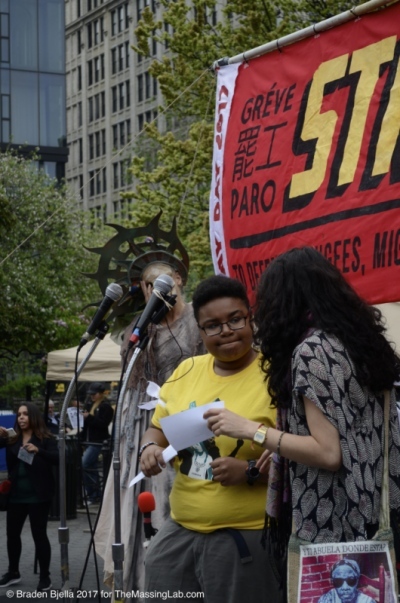 Here is a sample of some of the many groups present at the event, as well as their stories and photos. 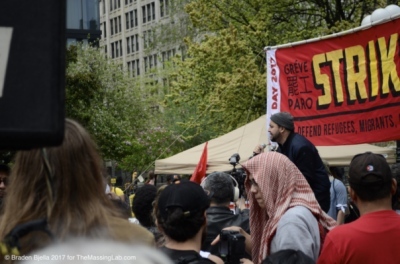 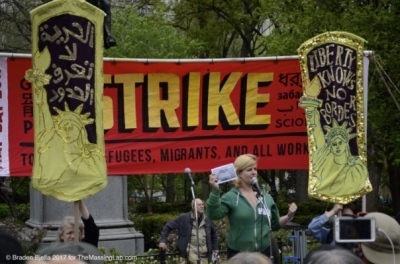 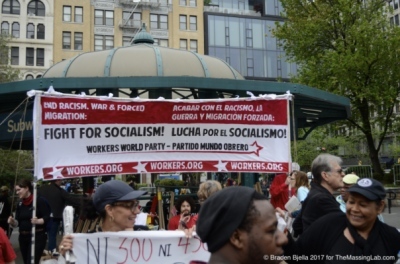 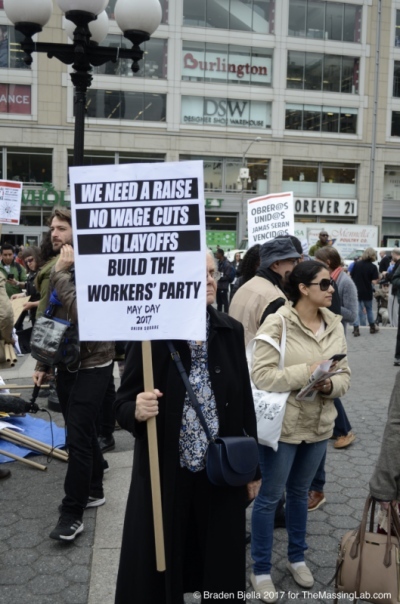 “Workers and oppressed peoples of the world unite” is the slogan emblazed across the front page of the Workers World Party’s website, and it perfectly encapsulates the issues the party fights for and the messages they put forth. 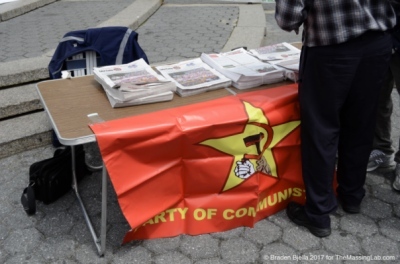 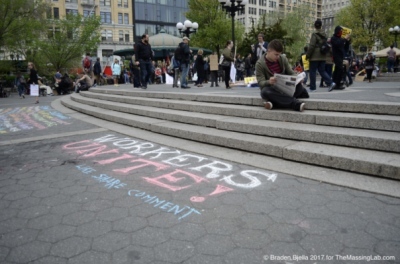 The Workers World is considered communist in nature and prints a weekly newspaper entitled Workers World. 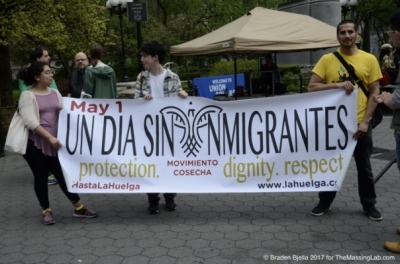 As stated on their website, “Cosecha is a new nonviolent movement fighting for permanent protection, dignity, and respect for the 11 million undocumented immigrants in the United States.” Cosecha advocates for worker strikes to defend the rights of working immigrants. 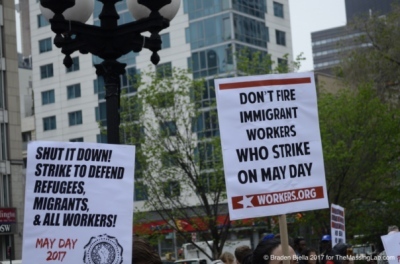 It also provides educational tools and resources for immigrant workers who wish to strike or protest their working conditions. 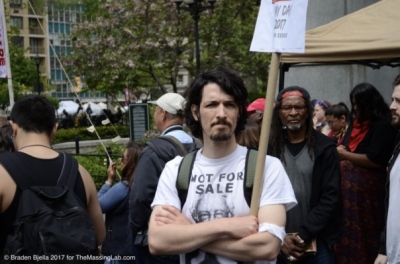 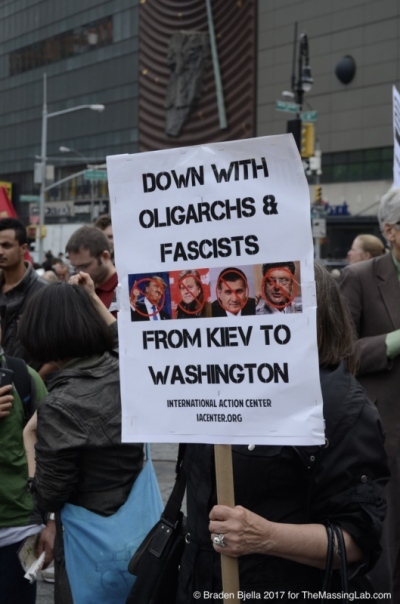 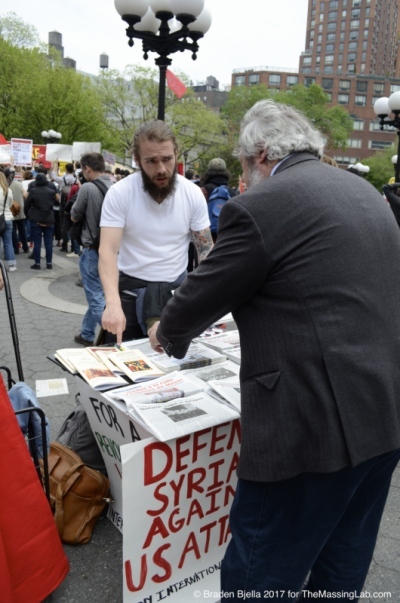 “Information, activism & resistance to U.S. militarism, war & corporate greed, linking with struggles against racism & oppression within the United States.” Founded in 1992 by former United States Attorney General Ramsey Clark, the IAC supports anti-imperialist movements around the world and opposes U.S. military intervention. 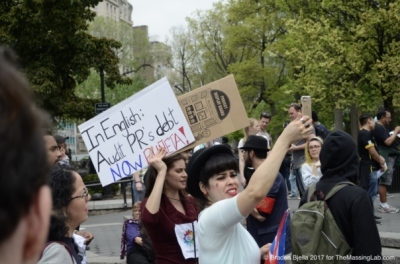 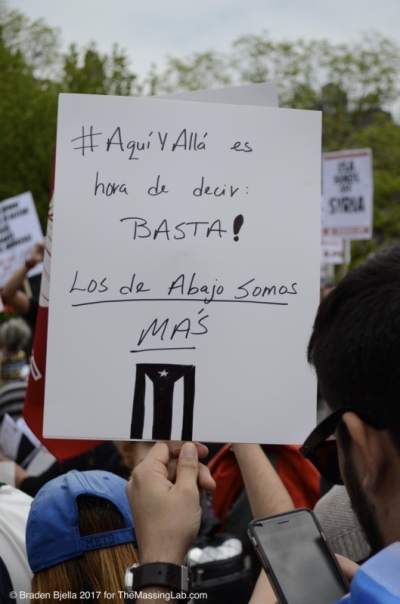 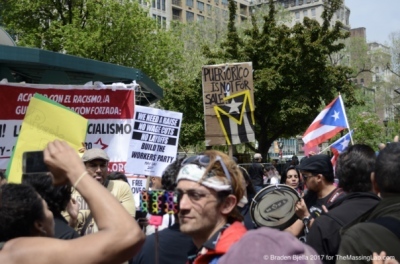 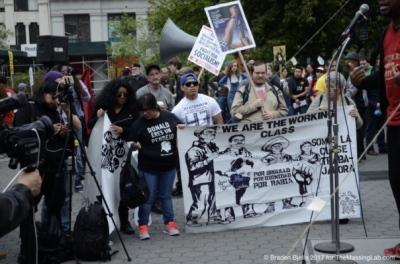 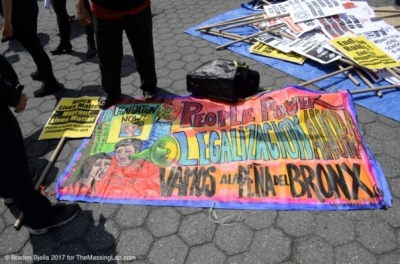 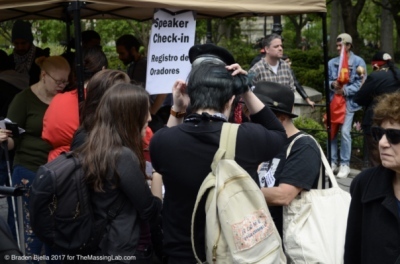 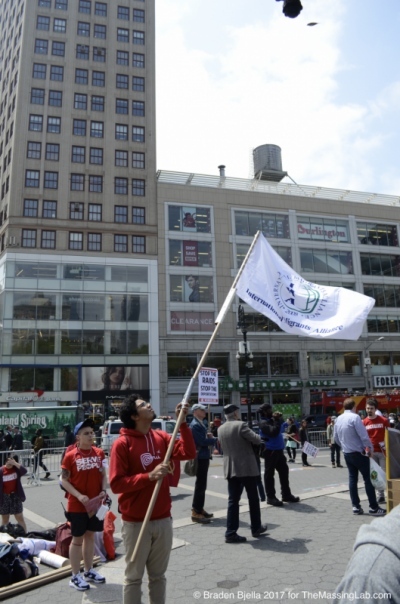 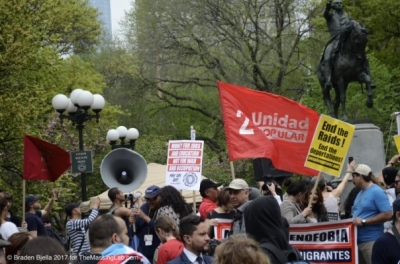 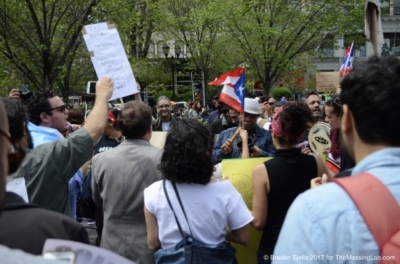 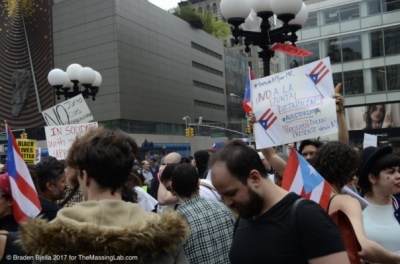 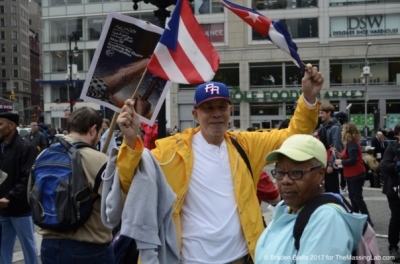 Although not officially unified under one title, a prominent presence at the Union Square event was a collective of people supporting the rights of Puerto Ricans, venting anger about the Puerto Rican economic crisis and fighting against looming austerity measures. 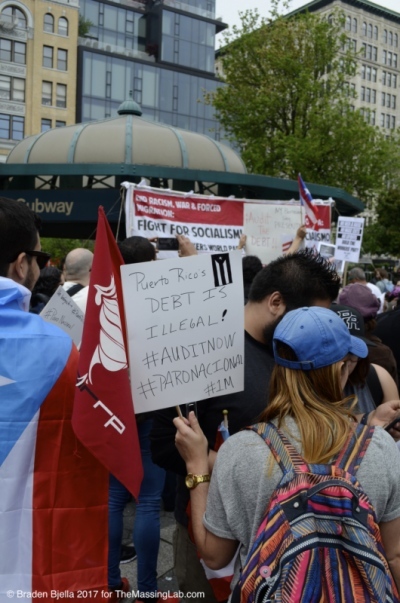 This group encouraged attendees to follow the hashtag #paronacional, which has today filled Twitter with photos from protests in Puerto Rico and around the United States. 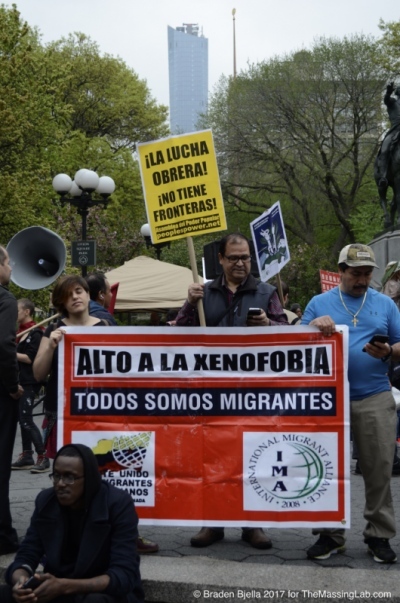 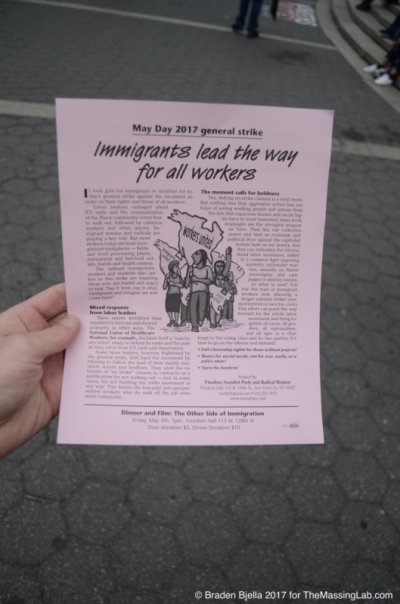 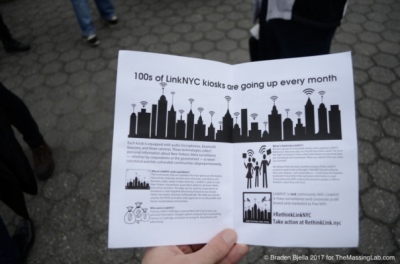 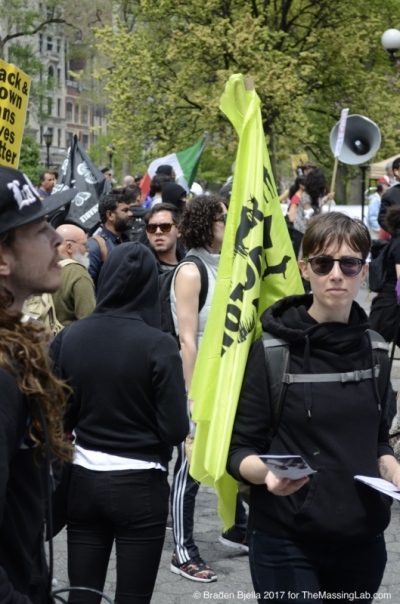 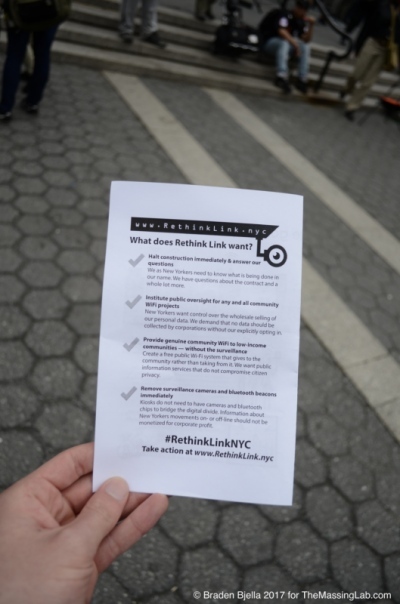 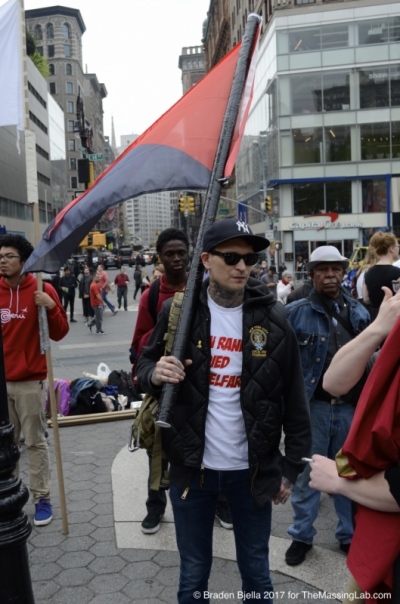 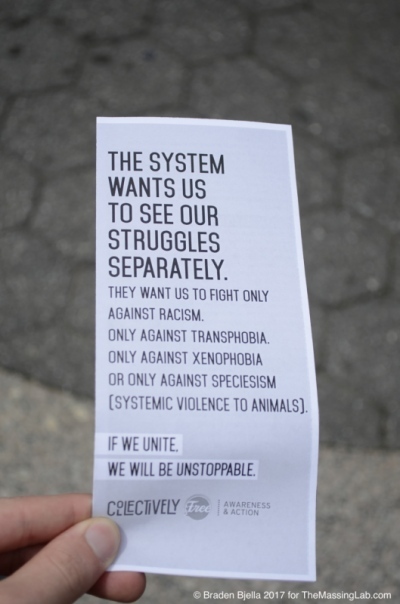 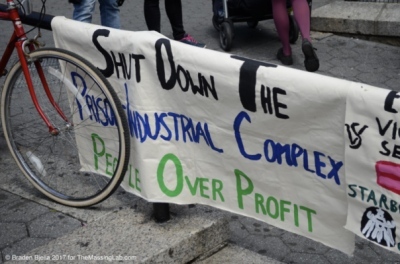 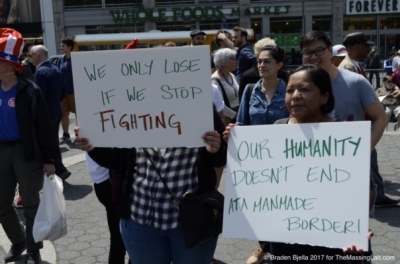 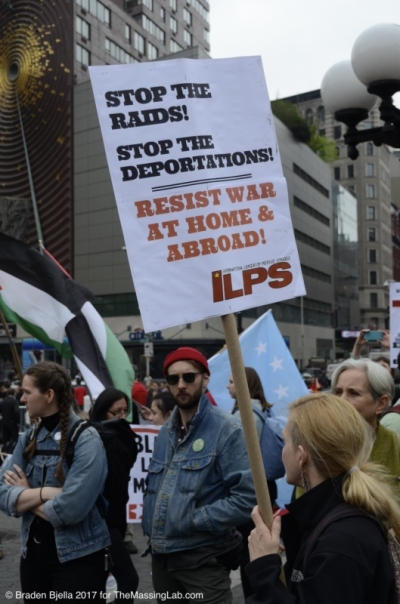 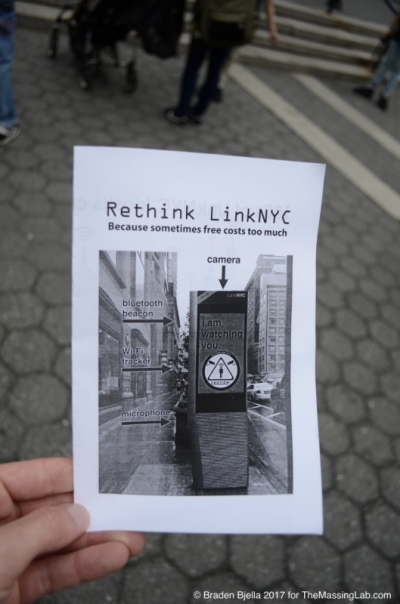 In a flyer distributed by members of the group, the NYCFSP calls for “full citizenship rights for those without papers,” “money for social needs, not for war, walls, or a police state,” and the opening of borders. 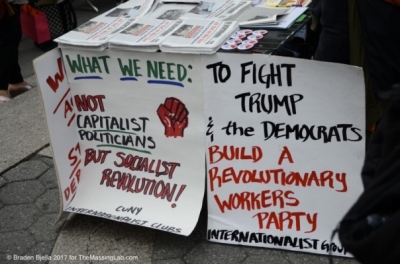 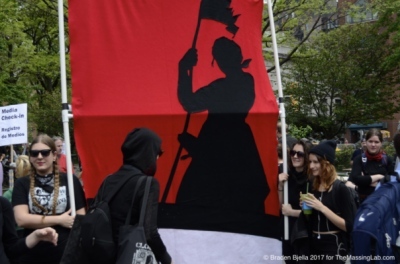 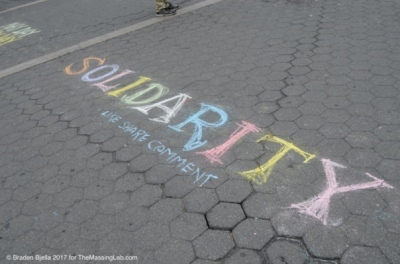 The group fights for revolutionary internationalism, union democracy, women’s liberation, and more. 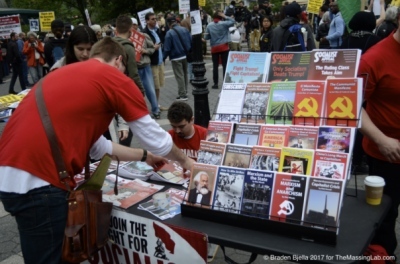 These are just some of the many groups present at the event. 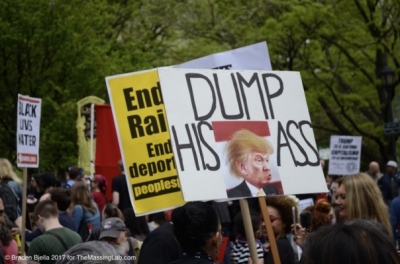 Scroll through the photos to get a better idea of how the day unfolded. 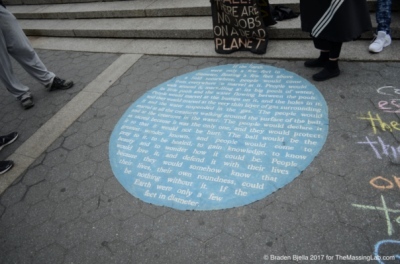 Braden Bjella is a writer, musician, occasional photographer, and researcher of Mass Communication. 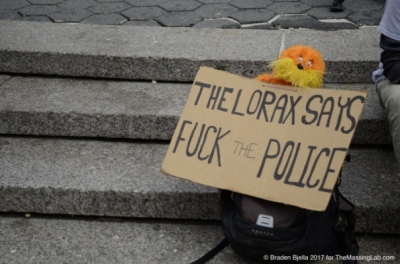 You can follow him on Twitter @BradenBjella or on Facebook here.